Are you getting ready to pop the big question? Have you found the one you want to spend the rest of your life with, and now it’s time to buy the ring? Whether you have been talking about marriage for months or you just started thinking about what it would be like to wed, planning a proposal is an exciting time. Asking someone to marry you is a moment you will both remember for the rest of your lives. How do you create the kind of memorable moment that will warm your hearts well into the future? What goes into planning a proposal as special and beautiful as the love you share? 1. Talk about it, generally. You don’t have to ruin your proposal’s surprise factor to start a conversation about marriage. Talk about the future together. Open a dialogue. Let your partner know that you’re thinking about commitment, and find out if it’s mutual. You can do this casually, after talking about a friend’s engagement or watching a movie with a wedding — whatever feels natural to you. Once you confirm you’re on the same page, headed toward marriage, you’ll gain a lot more confidence in planning a proposal. Plus, you won’t have to worry about shocking your partner with a question that ends up feeling completely out of left field. 2. Consider family expectations. When it comes to marriage protocol, every family is different. Some expect parents to be consulted before a proposal, and some don’t. In your casual conversations with your partner about marriage, ask what might be expected of you. After all, once the two of you get married, this extended family will become your extended family — so it doesn’t hurt to defer to the family’s dynamics now. 3. Save for the ring. There’s no way around it: Buying an engagement ring is a large expense. While tradition says to spend three months’ salary on the item, what you actually spend is up to you. When you know you’re moving toward marriage, think practically about how much you can and want to spend on the ring, and use that to guide your upcoming purchase. Start saving right away so you’ll be prepared and ready to purchase the ring your beloved desires. 4. Get your partner’s ring size. There’s nothing like slipping a ring on someone’s finger and finding out it doesn’t fit. To avoid this scenario, learn ahead of time what ring size you need. There are many ways to find your partner’s ring size. You can ask directly, if you don’t mind being transparent about wanting it. Or, if you’d rather be discreet, you can check your partner’s jewelry drawer and swipe one that you know fits on the proper finger, using that to guide you at the jewelry store. 5. Find the right jeweler. Just because you have an old roommate in the ring business doesn’t mean his jewelry is the right choice for your future spouse. Ask people you trust for recommendations, and research reviews from other clients. You want to know you’re shopping from a trustworthy provider, so you get a ring that lasts. 6. Find the perfect ring. How involved your partner is in choosing an engagement ring is up to you two. Does your significant other have strong opinions about styles, sizes, cuts, etc.? There’s no harm in browsing jewelry stores or magazines together, just for fun. Try to keep it light, setting expectations low so you aren’t preparing your partner for a proposal that won’t happen right away. If you know your beloved truly wants to be surprised, do your best to consider general style preferences and go with confidence. 7. Choose the proposal that fits you two. The best proposal is the one that fits you and your partner. Not every couple wants a grand gesture, just as not every couple wants an intimate dinner. Think about your story, your history and the sort of experiences that are special to you. Be personal, be creative and make it unexpected in some way. This will help you create the magical moment you’ll always remember — one that you’ll love telling your kids and grandkids someday. 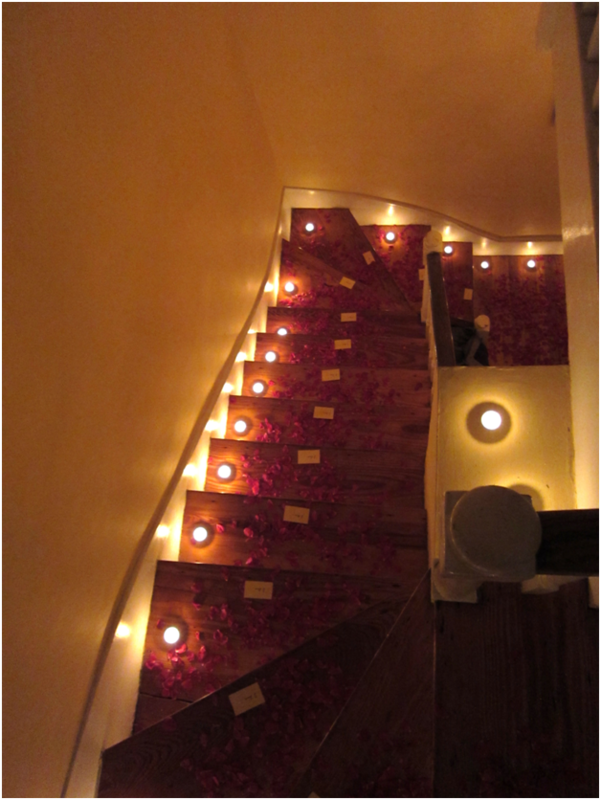 Hint, hint…adding Rose Petals can make it even more memorable and romantic! 8. Be flexible. No matter how well you plan your proposal, it’s hard to account for everything. Your outdoor picnic might benefit from a backup plan in case of unexpected rain, but even if the backup plan changes, don’t panic. When that sunset moment comes earlier or later than you thought or the waiter who was supposed to give you a signal forgets the timing, your proposal isn’t ruined. Whatever goes differently than you expected, try to roll with it. What’s most important is communicating your love and commitment from the heart. 9. Celebrate afterward. Whether you pop the question in a hot air balloon, a candlelit restaurant or a baseball game, make sure you have plans afterward. The moment when you’re riding high on excitement and euphoria is the perfect time to do something fun that marks the occasion. Whether you have a table booked at your favorite restaurant, a party of family and friends waiting at home, or a bottle of champagne in the fridge, take the proposal up another notch by planning for what comes next. 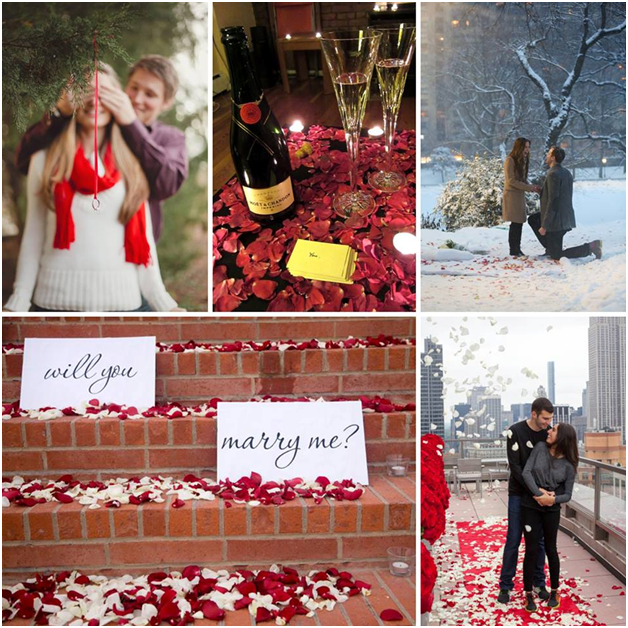 Remember to include rose petals in your proposal and celebration afterwards. 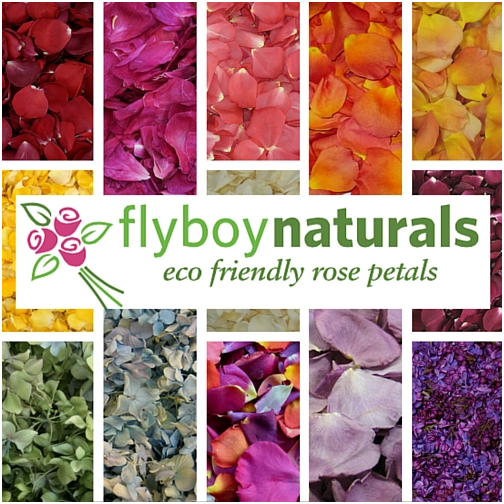 Flyboy Naturals has over 100 colors of petals to choose from. Planning an engagement is a wonderful, exciting time in a couple’s life — almost as special as preparing to be married. Take the time to prepare, but remind yourself to enjoy the process, too. This is only the beginning of the rest of your lives together. After you’ve popped the question, you have so much to look forward to, from the wedding to the honeymoon to years together as long as you both shall live. One more thing…make sure to capture the moment. Have a photographer hidden close by capturing this magical moment. Imagine how much fun it will be to share the photos with family, friends and someday your kids and grandkids. Larry Zimont of https://www.castinghouse.com/cad-cam-services.html Casting House, attended University of Notre Dame and started his career at KPMG and Morgan Stanley. After spending eight years in consulting and corporate finance, he partnered with a friend who owns a nationally recognized manufacturing company to launch Ethan Lord Jewelers. Zimont diligently spent time taking classes on diamonds, CAD design, precious metals, manufacturing, etc., to provide customers with an informative experience in a pressure-free environment.